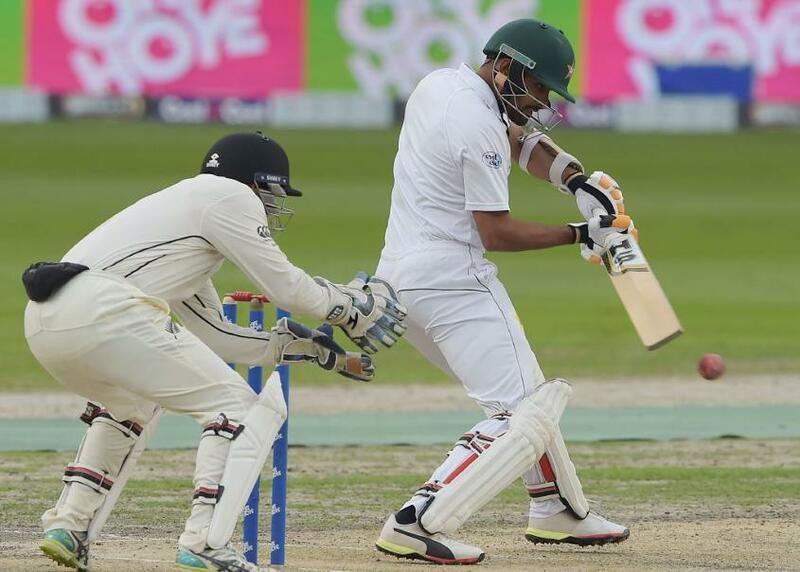 Babar Azam says not having a Test hundred was not a "burden"
Babar finally reaches a Test hundred against New Zealand having made 99 in last month's series against Australia. It has been a long time coming. This was Babar Azam’s 17th Test match, but he has finally made it to three figures in the format. He finished on 127 not out against New Zealand in the second Test in Dubai. Even though it has taken some time to reach that landmark Babar says that he didn’t have any pressure put on him to make it to a hundred, but getting to the landmark was a relief. While Babar has a reputation for scoring quickly and being a dashing player, this innings was one that was all about taking his time. Speaking about the pitch, Babar said that run scoring was hard work. He also pointed out that the spinners were getting turn and that he was hopeful that the Pakistan bowlers would get something out of the pitch when they get further into the New Zealand innings. "The ball isn't coming onto the bat; it's really slow. The spinners are getting purchase off the wicket. Hopefully our bowlers will benefit from the conditions as well. We are confident we'll get them out cheaply."